Is there anything better than finding out you made more money than you thought you were going to make? You look at your pay stub and see that you made a bit more than you were expecting, it’s a great feeling. It really is. It’s better when you’re a publicly traded company. The owner of gun maker Smith & Wesson posted better than expected earnings and revenue for the period. Both the firearms and outdoor products businesses saw revenue and profitability improve, with the gun segment boosted by “bundle” promotions booked earlier in the year and shipped during the quarter, according to chief executive James Debney. “Sales growth occurred in both our Hunting & Shooting product categories, as well as our Cutlery & Tool product categories, and came from a variety of retailers, particularly our online retailers,” Mr Debney added. Gun sales in the US have softened since the election of President Donald Trump. 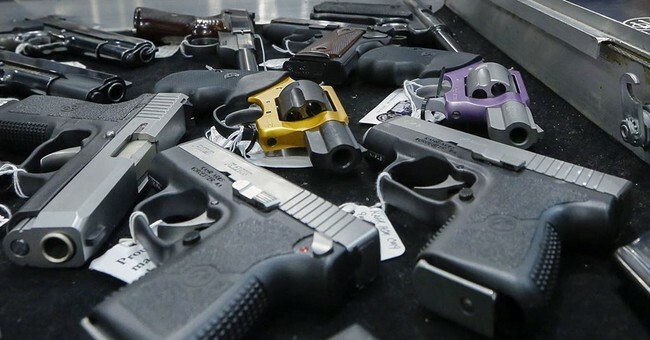 Consumer demand for handguns and rifles typically peaks under Democratic presidents, when buyers see greater odds that lawmakers could enact new gun-control laws. American Outdoor Brands has sought to reduce its exposure to the gun industry cycle by diversifying its product portfolio. 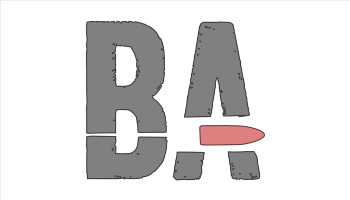 In recent years, the Massachusetts-based company has acquired several accessory brands such as Crimson Trace, which manufactures laser sights, and knife maker Bubba Blade. The company’s outdoor products and accessories unit accounted for about one-third of revenue in the most recent quarter. American Outdoor Brands – which includes not just Smith & Wesson but also Thompson Center, Schrade, Caldwell, and Crimson Trace, among others – isn’t turning its back on the gun industry. It has shifted into some adjacent industries to help it weather the storms that pop up in firearms. Knives, for example, are always needed and always used. And if the rate I lose knives is any indication of the norm, it’s an industry that’s not going to slack off anytime soon. But Debney noted that ground also increased in its “Hunting & Shooting” category. Those would be the guns and other outdoor products, and that’s good for all of us. Good sales for shooting products means those products remain on the market, that means we can continue to buy them. Having the right to own something is meaningless if you can’t actually buy it. I mean, I have the right to own a fire-breathing dragon, but guess what? That’s right. There are no laws that prevent me from doing so, but I still can’t own one. The other goods, however, mean that Smith & Wesson can float firearm manufacturing if times get lean in that part of the company thanks to the diversification. It may lay some folks off, but the company won’t be at risk of going out of business. The more I look at American Outdoor Brands, the more I think more gun companies should follow its lead.